Trivia: The Cambodia P. cubensis mushrooms were collected by John.W.Allen near the Angkor Wat Temple in Siem Reap. These Cambodia mushrooms were found growing on brahmans (cattle) dung, were they grow big and fat mushrooms. The Cambodian spore prints are made on sterile foil which is stored in sterile ziplock bag and kept under refrigerated conditions. Each spore print can have a tiny scratch of spores removed from the print. With this swab a test run on agar or liquid culture is made to check the conditions of the spores. Only spores that germinate are released as a print. 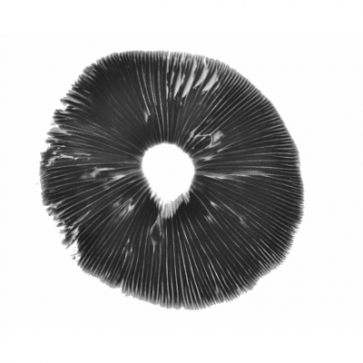 Store the Cambodian Spore print refrigerated between 2*C-8*C Celsius or 35*F-46*F Fahrenheit. A mushroom spore print can be stored for years.